In the event of a dental emergencies you may have, please refer to the glossary of helpful hints below that may help you through this difficult time until you can come see us at Dentistry on Wilson. Alternatively, call your North York Dental Emergency Service at 416.485.7121 or leave a message through our contact information. Children often respond well to the use of cold objects, teething rings and even firm finger massage. The use of oral medications like baby Orajel™ are safe and usually available at your local drug store. If your child is very uncomfortable or feverish, the appropriate dose of oral Motrin® or Tempra can often make them more comfortable. Please consult your medical doctor if there is any question of the appropriate dosage. If your child has fallen and chipped a tooth, call immediately. Most small chips in baby teeth do not have to be restored however watch for any discolouration, bumps on the gum that may form above the tooth over a period of weeks or months and/or complaints of pain or cold sensitivity If the tooth has been “pushed in” and appears shorter or in a different position than it was, you must bring them in immediately for an assessment. If your child has knocked out a baby tooth, it is unlikely that it can be re-implanted. The risk of damage to the adult tooth in the bone above it and infection is too great. Apply pressure with moist gauze if bleeding and give Tylenol® or Advil® as required. If the bridge is still in your mouth and not moving, we can often repair cosmetic damage while still in place. If the bridge has broken and/or fallen out, either the material that the bridge was made from has failed or the teeth supporting the bridge. Save all the pieces and bring them to your appointment. Sometimes it can be re-cemented however often another must be fabricated. If it has fallen off, please try and snap it into place on the exposed tooth. If you cannot do this easily, keep the crown in a safe place and see us immediately. Often it can be re-cemented without problems however it has to be determined at your appointment. Do not try to cement the crown back on with crazy glue or any other type of adhesive as it will adversely affect our chances of reusing the crown. If the crown is lost, see us immediately. We may be able to place a temporary crown on at that visit to get you comfortable while we decide how to restore the tooth permanently. Save all the pieces and bring them to the office when you have your appointment. Often we can fuse them together using new acrylic at your visit. However, there are times when we must send this to our laboratory for repair. Do not use crazy glue to repair your denture! These often occur with a new well-fitting denture or an older poor fitting denture. Please see us as soon as possible and rinse with warm salt water rinses until you do. Leaving the denture out for an extended period of time can allow the area to heal and make it more difficult for the dentist to find the “sore spot.” Do not file or use an emery board to remove acrylic from the denture. Usually this is a sign of gingivitis or the more advanced periodontitis (highlight for link to explain on video). Rinse your mouth four times a day with one-half teaspoon of salt in four ounces of warm water. Brush and floss even if the bleeding continues and come in to see us as soon as possible. If gum disease is caught early enough it can be reversible or, at the very least, can be put into remission with thorough cleaning and good home care thereby preventing tooth loss. These can be brought on by trauma or often just appear one day on waking, chewing, opening or slowly appear by the end of the day. A proper assessment must be done to insure we find out the cause of your discomfort. In the meantime, ibuprofen (Advil® or Motrin®) is likely the analgesic of choice – please follow the manufacturer’s guidelines to insure you do not exceed the maximum allowable daily dose. Hot or cold compresses (whatever helps the most) can be applied to the outside of the face on the affected area) for short periods to help with pain management. Modify your diet to reduce the amount of hard and/or sticky foods you eat – this can cause further discomfort. If you or your child has knocked out an adult tooth, time is of the essence. Save the tooth in a small container of cool milk and come immediately to the dentist. In some cases the tooth may be able to be reimplanted if done within the first few hours after the accident. If the tooth was not completely avulsed, or knocked out, save whatever pieces you can find and bring them to the appointment as well. Whether the tooth is fractured/decayed, a filling is broken or you have gum problems, use Tylenol or Ibuprofen (Motrin®, Advil®) to help manage pain. If there is swelling, rinse the area frequently with warm salt water and call us immediately – you will likely need an oral antibiotic in order to reduce the infection that has formed. Try to avoid sticking temporary fillings or cotton soaked with topical anaesthetics in any apparent holes in the teeth. As well, avoid sweet, hot or cold foods and drinks and do not place any type of oral analgesics (ASA, Tylenol®, Motrin®) on the gum beside or in the offending tooth. Once at the dentist, we can make a diagnosis and relieve your discomfort. Usually it is the gum just covering a lower wisdom tooth that is tender and painful but can occasionally be an upper tooth often rubbing the side of the cheek. Rinse the area with salt water repeatedly throughout the day, take Motrin® or Advil® and see us immediately. Sometimes the tooth can be adjusted to reduce irritation of the gum and, if required, an antibiotic will be prescribed. If this is a transient first time episode, wisdom teeth can often be retained however if it is recurrent and chronic, it’s often suggested that they be extracted to avoid further discomfort and long term damage to gum, bone and possibly the neighbouring tooth. 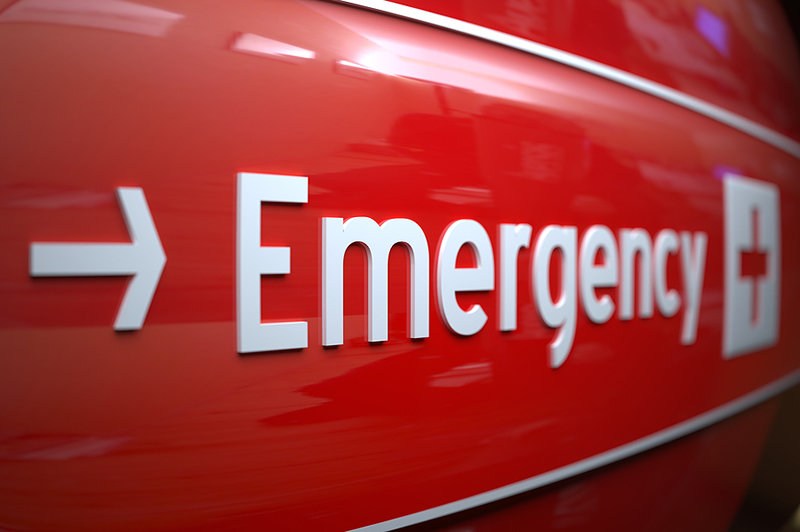 Learn about the various emergencies that may arise.